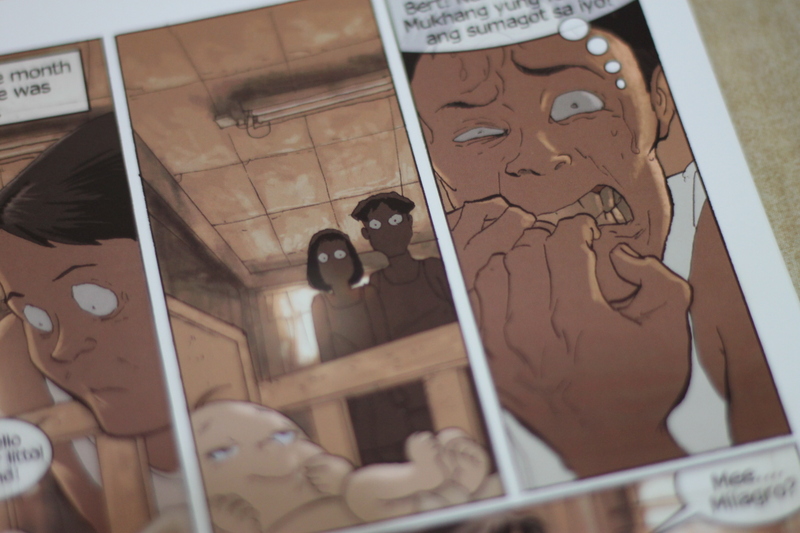 Rodski Patotski: Ang Dalagang Baby was launched during the Summer Komikon last April 12. A highly anticipated collaboration by Gerry Alanguilan [Wasted, Elmer, Where Bold Stars Go To Die] and Arnold Arre [Ang Mundo ni Andong Agimat, After Eden, Mythology Class]. It’s one of the comics I’ve been looking forward getting since Gerry made an announcement in his blog! Rodski Patotski: Ang Dalagang Baby is a 100-paged, full-colored comic book that gives off an impression to the buyers [a.k.a me] that it is a children’s book because of its bubbly and very colorful cover [Trivia: Arnold’s wife, Cynthia, made the logo title!]. In addition to that, it also has the same size of common illustrated children’s books. 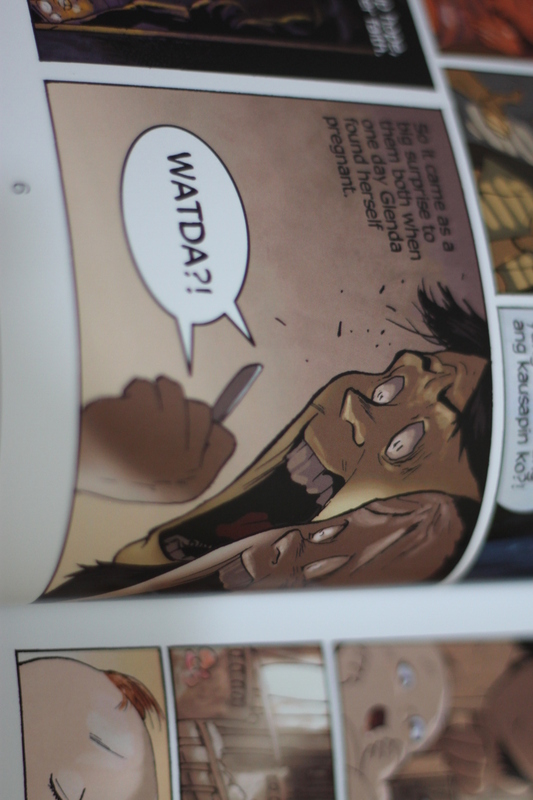 The book has wider panels that make the in-your-face art/illustrations more animated and fun to read. Speaking of “fun,” I find it new and weird that Gerry Alanguilan wrote the storyline because it is far different from his previous published works—most of them dark and violent. In a nutshell, Rodski Patotski: Ang Dalagang Baby is about this unusually genius girl named Roddelyn “Rodski” Rosario who was used by the Philippine military at young age to create a weapon for mass destruction—I sometime wish that this will happen in the immediate future of the amazing Philippines. I thought this comic is pulling a Benjamin Button story line at first but as I read on, things get better. I can say that this comic captured the Pinoy-ness of the characters. I can’t help but laugh at the pilosopong banat [sarcastic remarks] of the characters! I can even imagine Gerry pulling those banat then doing his signature Hey, Baby face (just kidding! :P). This comic book was one heck of a joyful experience. Accompanied by Arnold Arre’s art that is bursting with colors and actions. Same with Gerry, what really got me giggling uncontrollably—and my giggles are hard to come by—were the facial expressions of the characters. Swak na swak kung baga. 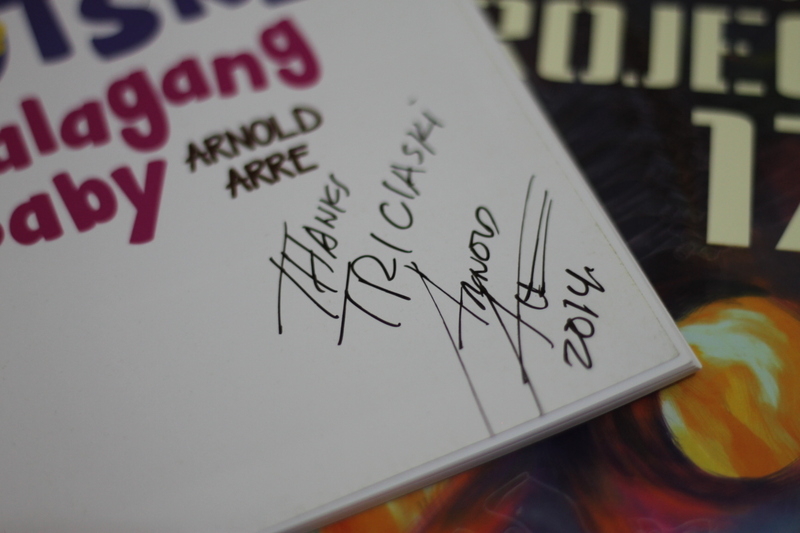 Oh hey, I had the pleasure to meet Arnold Arre that day and he signed my copy. I am not well-versed about his works and I’ve been wanting to read them but I can’t seem to find copies of his comic books that is not torn or tattered in any major bookstores [help?]. Maybe the next time I see him in Komikon, I have copies na! I am book-pushing you this book because I want you to experience the laugh-out-loud moments I had while reading this [best read with scoops of Pistachio ice cream!]. It’s a story of adventure, love, sci-fi, family, humor, drama rolled into one and I am certain that you will love this one and you won’t be asking for anything else. You may get a copy in any Comic Odyssey branches or check their online store. 23 Apr	This entry was published on 23.04.14 at 3:53 am. It’s filed under In Which I Think About Random Things and tagged 2014, Arnold Arre, Gerry alanguilan, Komikero, Komikero Publishing, Philippines, Pinoy, Rodski Patotski, Summer Komikon. Bookmark the permalink. Follow any comments here with the RSS feed for this post.